When are gifts, awards, bonuses taxable? Are These Gifts/Awards/Bonuses Taxable to the Employees? If they are taxable, you must deduct all applicable federal, state, and local income and FICA taxes. You must also pay other employment taxes (unemployment tax, for example) on these amounts. Are These Gifts/Awards/Bonuses Deductible to You as a Business Expense? To be deductible, often these items have limits. Knowing the limits helps you determine the amount of the gift. Your business can deduct no more than $25 of a gift to any one person each year, including employees. See IRS Publication 463 for more information on gift limits. Knowing the answers to these questions can help you make good decisions to tax and deduct appropriately. Gift certificates and the newer gift cards are for the most part taxable to employees because they can be converted to cash. 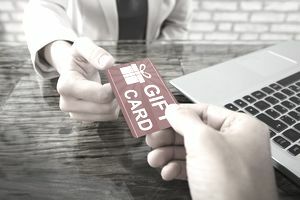 There has been some discussion about whether small amount gift cards/certificates ($25 or less) could not subject to taxes because they are “de minimis” fringe benefits (a small amount) but the IRS has given no guidance on this, so it's best to consult your tax advisor and to consider them taxable. If you give gift cards or gift certificates, you must withhold taxes from employee pay for these gifts or gross them up. For sole proprietorships, partnerships, and limited liability companies (LLCs), bonuses are not deductible business expenses because the owners/partners/members are considered by the IRS to be self-employed. This is one situation in which having a corporation and being an employee of that corporation might result in more tax deductions. Bonuses to employees are considered income and are taxable to the employee. You must withhold income taxes and FICA taxes on employee bonuses (unless the employee is over the Social Security maximum for the year. If you decide to give your employees a bonus, you must give them the opportunity to change their withholding authorization (on Form W-4) for that paycheck, and change it back for subsequent paychecks. Many employees like to change their bonus check withholding, so they receive more of the bonus. You can deduct the cost of employee awards from your business taxes, up to $400 for awards of tangible personal property (like a watch) for each employee each year. It includes service awards and safety awards. There are also limits on employee awards given by partnerships. Read the article below for more information. Service and safety awards are not taxable to employees if they are limited. There are limits on service awards (not during the first five years, and not more often than every 5 years) and safety awards (not to more than 10% of employees). Awards in excess of the limits are taxable. This withholding is for federal income tax only. In general, if the wages are paid in a regular paycheck, withholding is done on the whole paycheck in the normal way, including the supplemental part. If you pay the supplemental wages in a separate check, you can withhold a flat 22 percent or you can withhold at the normal rate you are currently using for that employee. This is an oversimplification and there are many exceptions. Please check IRS Publication 15 for more details. Employee gifts are usually small enough that you don't need to worry about employees wanting to change their withholding allowances. But for larger bonuses, you should give employees the options of changing their W-4 withholding deduction amount for that one paycheck. You must allow employees to change their W-4 forms as often as they wish. Some employees will want to change their withholding so as to receive more of the bonus. This process requires two W-4 forms - one for the smaller withholding on the one check and another to return to the employee's original withholding amount. In some cases, you may want to gross up a bonus. That is, you give the employee more to allow for withholding. For example, if you give an employee a $1000 bonus, by the time you take out taxes, the bonus check might be only, say, $750. You can calculate a higher amount for the bonus so that the check shows the full $1000. So you are actually giving the employee a larger bonus to account for the additional taxes. Paycheckcity has a gross-up calculator you can use to help determine the net amount of a bonus check, allowing for payroll taxes. Disclaimer: The information in this article and on this site is for general information purposes only. These tax issues are complicated, and every situation is different, so you should consult your tax advisor before you do anything that could be a tax liability for employees or which might affect the deductibility of an employee gift.